Dr. Kesarwani’s Cosmedical Rejuvenation Clinic is pleased to offer plastic surgery services such as abdominoplasty, belt lipectomy, breast augmentation, breast lift, chemical peels and cutera to the residents of Uxbridge. The township of Uxbridge is a mostly suburban community in northern Durham region. Uxbridge is the home of many working professionals who spend their weekdays working in the city but prefer life to be more relaxed on the weekends with their families. With the fast-paced world we live in it’s increasingly more difficult to spend the time necessary on our bodies to make sure we’re polished, composed, and ready to take on life’s challenges. Life isn’t easy and sometimes we just don’t have enough time to take care of our bodies and treat ourselves the way we deserve to be treated. Let Dr. Kesarwani and the staff at Cosmedical take care of your aesthetic half so you can focus on your professional life. Living in a small city is great for maintaining a peaceful home life or raising a family but when considering a procedure like cosmetic plastic surgery sometimes it’s nice to have a bit of privacy and anonymity. Another bonus of living in Uxbridge is that the best plastic surgeons in Canada are located just kilometers away in Toronto. 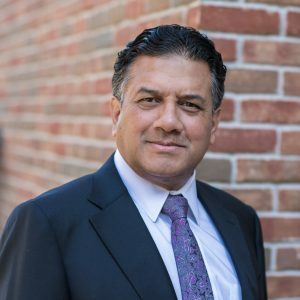 Dr. Kesarwani and his team at Cosmedical are highly regarded in the world of plastic surgery and specialize in a series of aesthetic and laser treatments such as 3D skin rejuvenation and laser hair removal.